Cruisin’ is da boss activity for many reasons with the biggest one being getting the chance to see all sorts of muscle cars, sports cars, cruising cars, hot rods and other insane vehicles. Here you will see one of the most unusual cruising hot rods you will ever see. 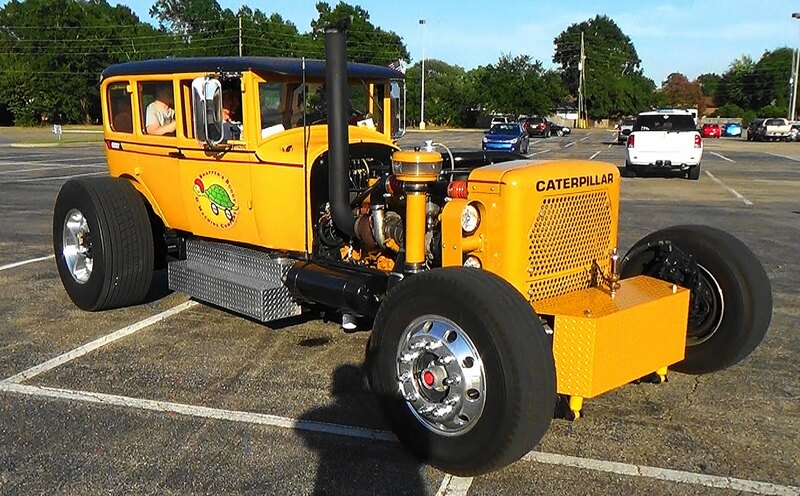 It is a hot rod that is part car and part Caterpillar heavy construction equipment and 100% awesome cruiser. Although at first glance it basically looks like a standard hot rod buggy that you might see on any cruising night or day, but then your ears start to take in the sound from its Caterpillar drive train and you realize this is one special hot rod.